Over 75 Region 1 AKA members gathered in Newport this weekend along with a special guest, Mark Reed of Prism Design. Mother Nature cooperated by offering ever improving weather throughout the weekend. 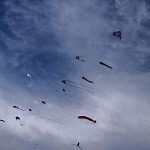 There were five clinics offered for the attendees, an indoor fly and a roundtable discussion of the future of indoor flying and indoor competition. We had our annual meeting at a seafood restaurant located right on the beach. A charity auction with proceeds going directly to AKA was run at the banquet. All items were donated by individual members and were very unique. We managed to raise $1050 for the AKA and had a great time in the process! 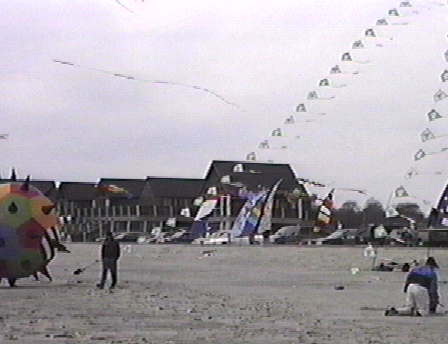 Newport’s 1st Beach served as the open fun fly all weekend. John Ruggiero brought his PA system onto the beach on Sunday. 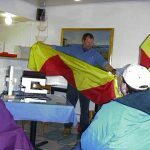 During the weekend Mark Reed offered two very informative clinics: one on bridle technology and the other on the evolution of the delta sport kite. A packed, “standing room only” crowd listened with interest as Mark explained the mechanics of a bridle. 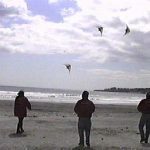 The attendees were very pleased with the content and were practicing their newly gained knowledge on their kites out at the beach. The indoor roundtable discussion was interesting with the focus of the discussions centered on several topics. Region member John Ruggiero has been assigned to run the first indoor competition held at the AKA Grand Nationals in Muncie. John was soliciting advice on executing this honored assignment. In addition we discussed methods to gain access to indoor facilities and the possibility of gaining more national exposure to indoor kite flying. It was clear that an indoor league should be established in our region. 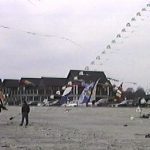 The Seaview Motel was as an excellent location for the clinics. 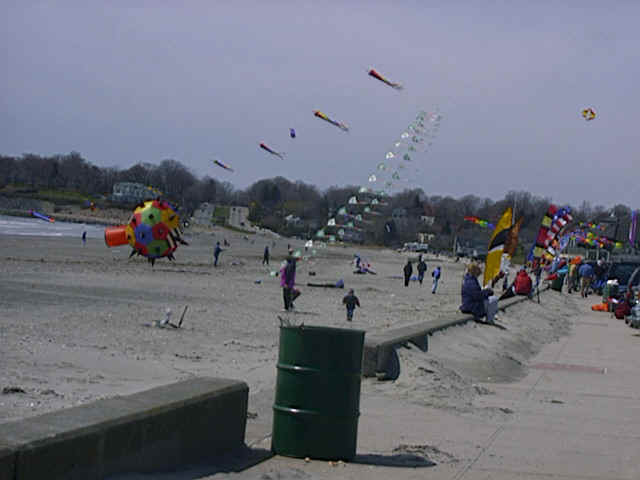 With a flying field on site, overlooking the beach and the city of Newport, everyone had maximum kite fun time. 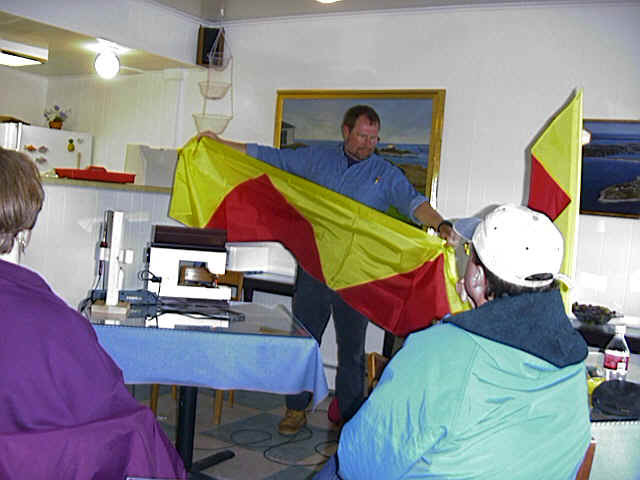 Local member Gary Engvall ran a feather making demo and Paul Berard offered an indoor mini kite making clinic. Paul donated a very special pair of miniature Rokkaku AKA kites for the auction! 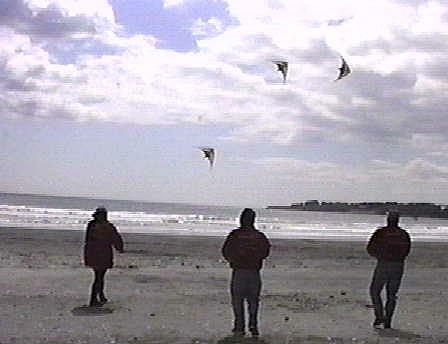 A team flying clinic was offered by Team Air Crackers members Bruce Kapsten, Tim & Sue Boyle. 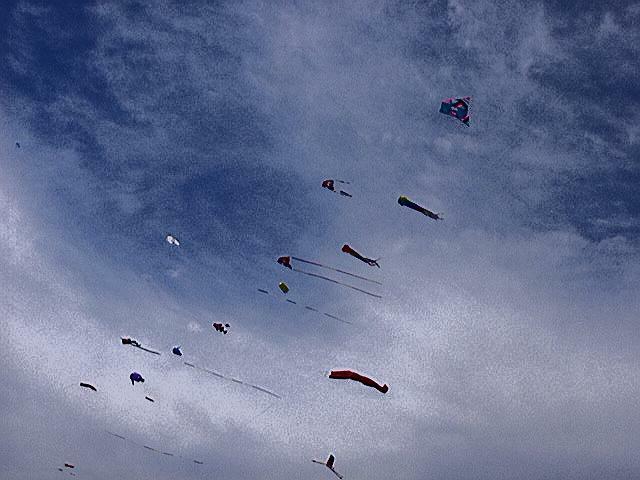 Overall, everyone had a great time, the AKA benefited and the local public had a great kite show throughout the weekend. Our members are now looking forward to next year. What a way to start a season! 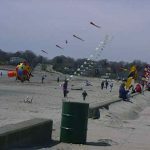 This entry was posted in Issue 9 (May/Jun), Reports and tagged newport, rhode island.